As a college, it is important to represent Cal Poly consistently — both visually and in writing — in order to convey our excellence in a cohesive manner. 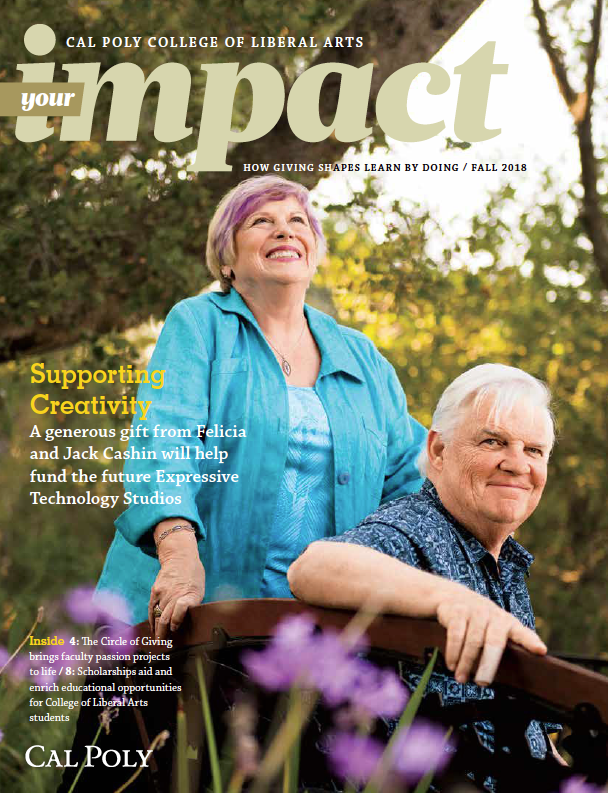 The CLA communications team produces Impact and Your Impact Magazines, The Link, The Brief and weekly email announcements for faculty and staff. We are also liaisons between the college and the university communications. Not sure if something is a task for your department or the CLA communications team? Check out the CLA communications FAQs. For help promoting your event, follow the CLA event promotion process. Use our press releases templates to draft press releases for local media outlets. Cal Poly uses the Associated Press Stylebook as its primary writing style guide. Additionally, university marketing has developed a customized guide with exceptions to AP rules for use in university publications and documents. Cal Poly created several versions of word marks for each department. Some include the Cal Poly shield, others are just a word treatment. Department offices should have the official Cal Poly variations for the department. Be sure to follow proper Cal Poly logo use. Do not modify these in any way. All emails to external audiences (e.g., alumni and donors) are sent via PolyLink by the CLA communications team. Follow the external email process to help ensure an efficient process. All departments are encouraged to produce newsletters. To assist in providing a smooth and efficient process, please review the newsletter best practices. The CLA Drupal user guide will help you navigate simple changes on your department's website. For more advanced revisions, Submit a request to the CLA Communications web team. Cal Poly Drupal is also an excellent resource with step-by-step guides and how-to videos. Be sure to keep web accessibility in mind when creating pages. Cal Poly provides guidelines on visual brand elements — colors, typefaces and more — to help your department stay on brand. Please send pieces that will be displayed for more than two months to Rachel Schultz for approval. Learn how to best design posters/flyers and other documents. Cal Poly has a list of manufacturers that are licensed to produce items with Cal Poly trademarks. Any promotional items CLA departments order need to be from one of these manufacturers. After you send the manufacturer your department’s artwork, they should send you a PDF proof to review. They will also send a PDF to Cal Poly licensing who will approve the item or not. To use photos, artwork, illustrations, audio and/or video of CLA students, alumni or guests in communication pieces, you must have a signed Visual/Audio Release Form (PDF). For events or large crowds, in lieu of individual photo releases, please post a photo/video sign on all event entrances (PDF). Interested in having a CLA staff/intern photographer capture your event? See the photography request process.